Dupaco members now have one more tool to help them boost their credit, enabling them to pay less and save more. But Dupaco’s Bright Track, which launched within Shine Online Banking this week, might raise a numbers question. “Credit scores matter,” says Slade, assistant vice president, member experience trainer. “They can be used by lenders to determine how much you will pay in interest, by insurance providers to determine your rate, landlords to assess your ability to pay rent and employers to aid in determining personal integrity and financial sustainability.”Dupaco’s Georgia Slade is here to help. Members, however, might find some variances in their credit scores. Slade says that’s because data is collected from three major credit reporting agencies—Equifax, Transunion and Experian. And lenders use their own scoring models, depending on the type of business they do. Each model weighs credit factors differently to generate consumers’ credit scores. While Bright Track uses VantageScore to rate credit, Dupaco uses FICO to generate scores. “If you take all of that into consideration, you can see how someone might get a different score from two different credit reports pulled the same day,” Slade says. The differences really don’t matter. It’s the trend that counts—the upward trend. 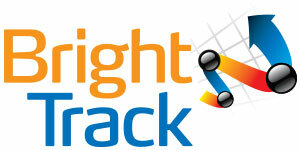 Bright Track is a guide to get members to where they want to go in Credit Land.